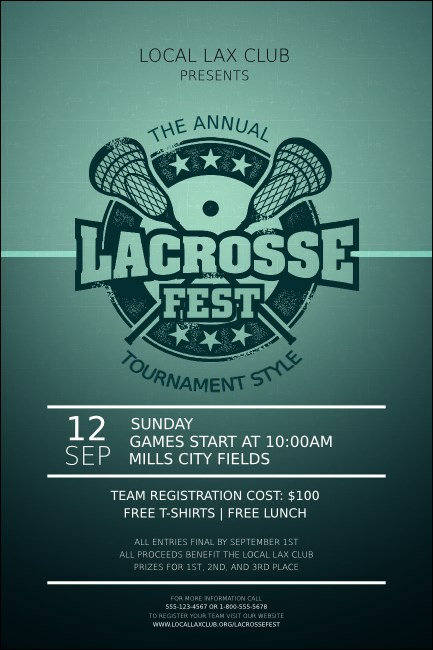 Get the attention of the laxaholics in your community by posting the Lacrosse Poster before your tournament. Metallic silver text announces your details on a light to dark fading blue background. Combine offense and defense - order coordinating tickets, invitations, and flyers in a Matching Event Kit. Be a wizard of event promotions with TicketPrinting.com.